StudioBinder’s call sheet distribution system just got a major upgrade. 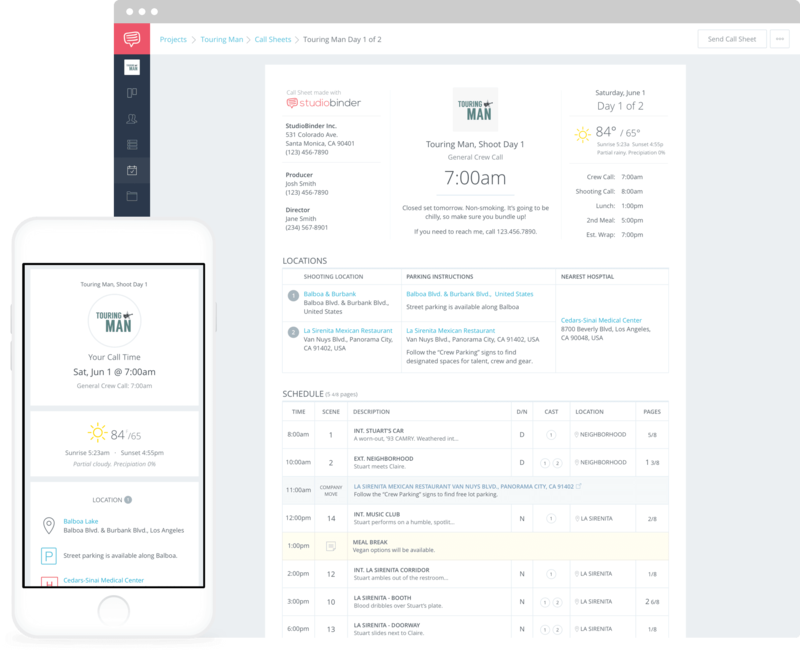 It’s now possible track the delivery status of every call sheet in much greater details. Learn more about our delivery process here. Stay on top of the status is of every call sheet in transit. In the past, the only call sheet statuses we displayed were view counts and confirmations. However, that left a dark gap from the moment you sent out a call sheet to the moment it was viewed by the recipient (if at all). 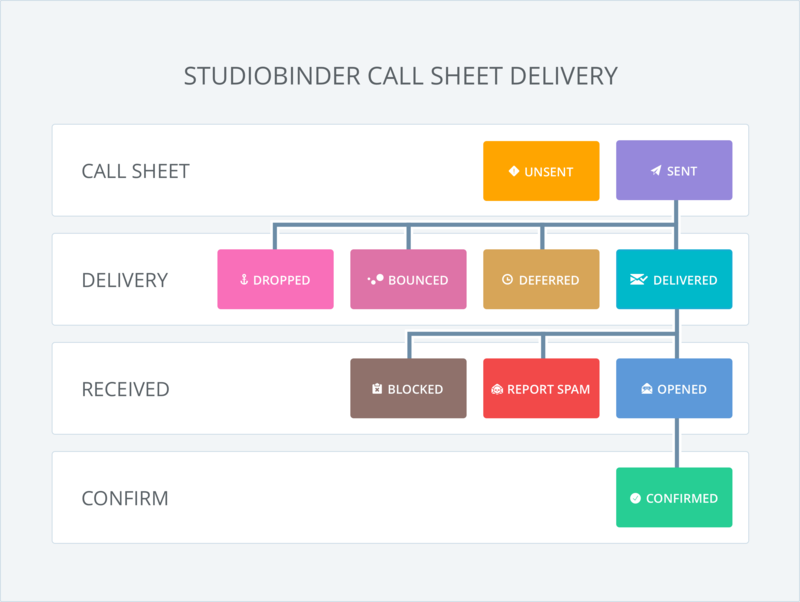 StudioBinder’s Recipients page now details the precise delivery status of every recipient’s call sheet: drops, bounces, spam flags, blocks, opened, confirmed, etc. Confidently stay on top of status, all from one page. Get notified when emails bounce & resolve typos faster. We’ve all been there. Somehow a typo made its way into your recipient’s email, and your call sheet bounces. StudioBinder now sends you a notification the moment a call sheet bounces. The email provides clear reasoning, and a button that directs you to the Recipients page so you can quickly correct the typo and Resend the call sheet. In the past, for maximum deliverability we’d send emails from your name but with the email hello@studiobinder.com. This lead to the occasional confusion where some recipients assumed the sender’s personal email was actually hello@studiobinder.com! To make this crystal clear, all outgoing emails are now sent from no-reply@studiobinder.com. This avoids any confusion or risk of mail clients auto-saving the address as a contact. As always, your name is still clearly visible as the sender. You can now pay for StudioBinder annually and save. By switching your premium plan to yearly, we’ll discount the plan by 15%! Depending on the plan, that can add up to 2 months of StudioBinder for free, every year. Share the big news with a tweet!